Holder of SEVEN Guinness Book World Records, Adam Crack’s skills are unrivaled anywhere. Adam performs sophisticated, high-energy routines, featuring his own dry humor in spoken material, anecdotes, historical or educational stories. And yes, there is always room for audience participation, so come prepared! Lauryn Murray graces the floor and nimbly climbs the precarious heights of silk, appearing as though gravity were merely a suggestion, not reality. 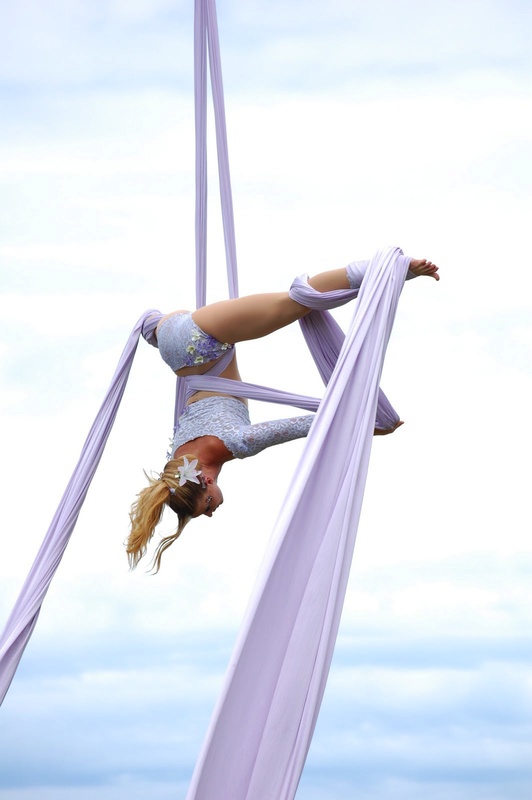 Lauryn’s beauty, grace and skill will awe the young and old alike as she floats effortlessly 30 feet above Shakespeare’s Meadow near the RenQuest™ encampment. 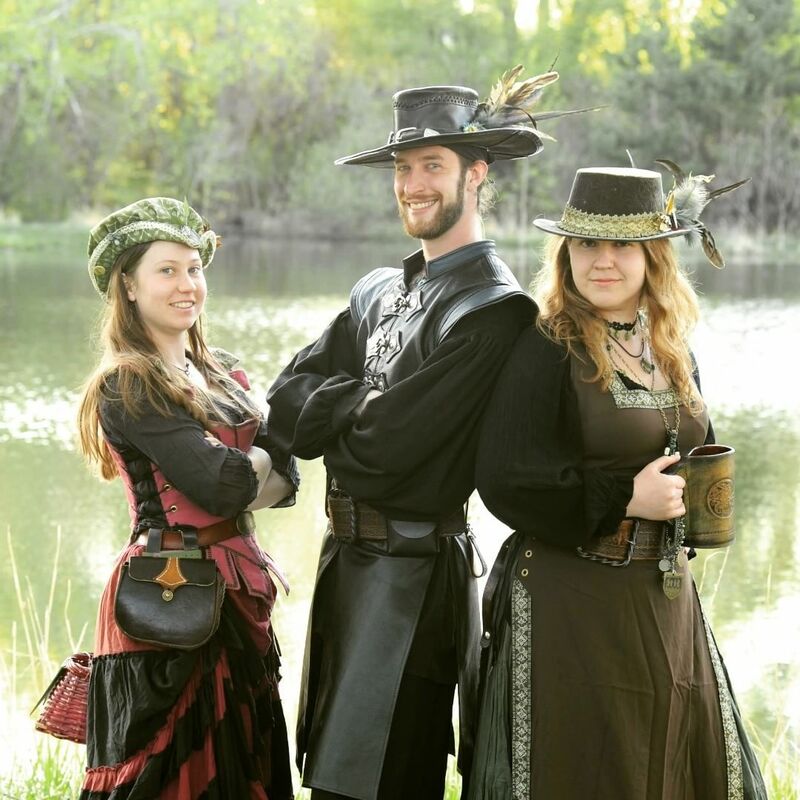 During their travels, Bardmageddon has collected music from all over Western Europe, and they’re bringing their favorites right to you! 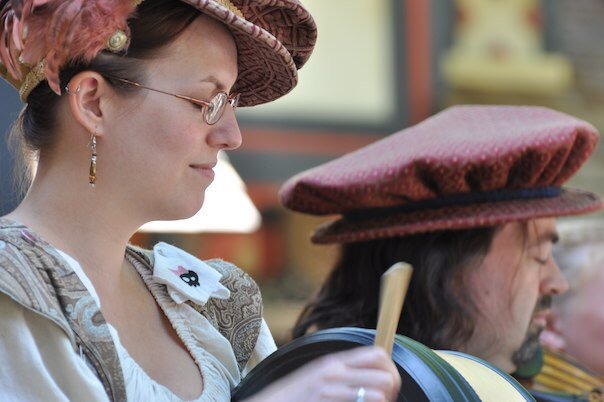 Using violin, guitar, bodhrán, and vocals to create their music, these musicians will enchant and inspire you with their bardic performance. Bristol’s favorite masters of acrobatic comedy have come home to roost, climb, balance and amaze! Performing acrobatic feats that you will see nowhere else, as well as their end of day fire show, Barely Balanced must not be missed! 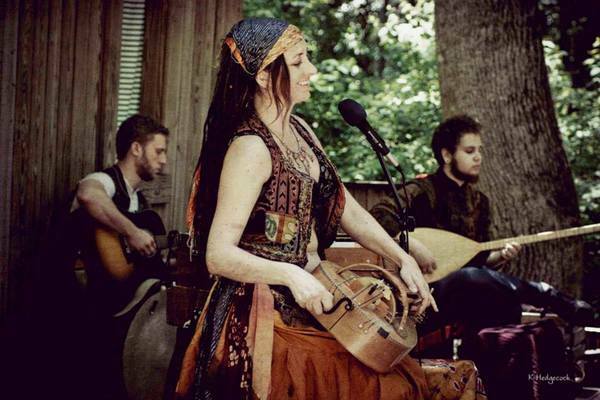 Performing with authentic instruments that date from before the Renaissance, the exotic sounds and hypnotic dance will sweep you away to distant lands where poets found solace and inspiration in moonlit rose gardens. Don’t be surprised, you may be inspired to join in with the dance. With boundless joy and a sweeping timelessness that will haunt your memory, this is music in its truest form. The joy and magic of instrument and voice as they intertwine. Start the morning off with an infusion of music that will carry you throughout the day. Bristol’s Royal Brass is a team of master musicians who play their way through a morning set that both provokes and invigorates. Awaken the dawn and have cup of Breakfast with the Brass. Broon brings a conversational style to the variety comedy world with less emphasis on corny gags and empty flash and more on audience interaction and personality. 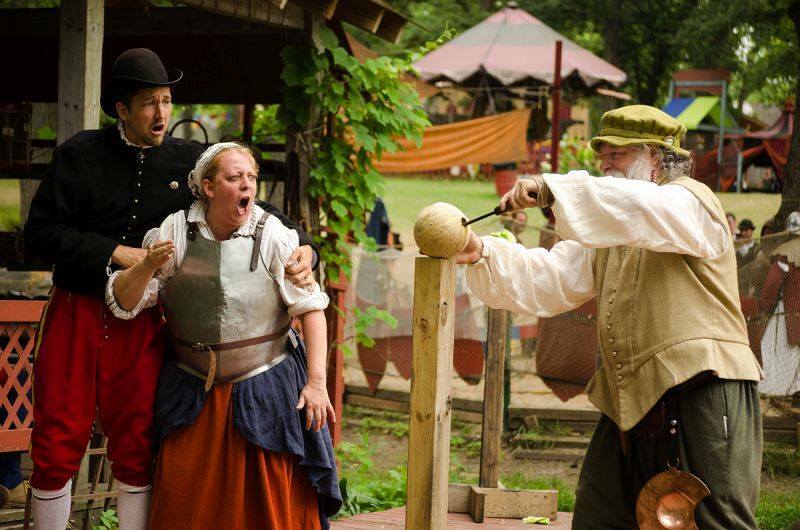 While cracking bullwhips, juggling bowling balls or eating fire Broon keeps the laughs alive with a dry wit and extemporaneous style that keeps audiences in stitches. With his variety skills and stand-up comedy style Broon presents a show filled end to end with sly humor and impressive stunts and Broon’s extensive improvisational experience guarantees no two shows will be exactly alike. Come, heroes and villains alike, and prepare yourselves for lighting fast steel and razor sharp wit! 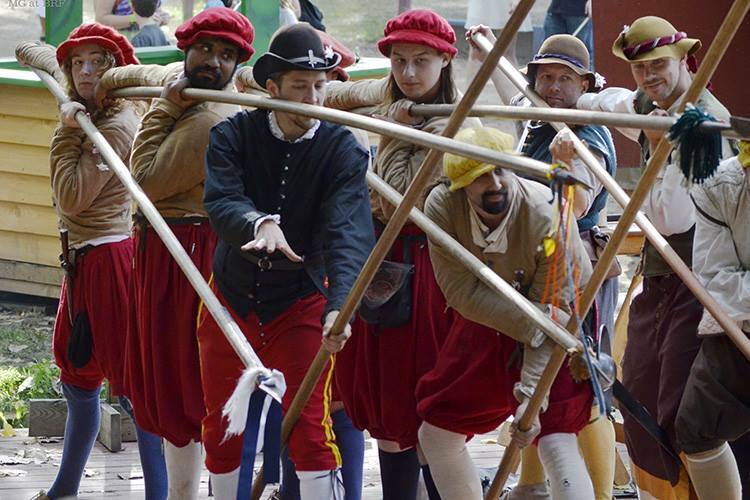 Since its beginning, By the Sword has maintained a tradition of including on its cast a troupe of stage combatants who provide guests the thrill and excitement of live swordplay, both on the streets and stage. Bristol’s own Magdalena daVinci returns for her third year! Join the incredibly talented and self taught chalk artist as she creates massive works of art! If you cannot say something nice about someone, give the job of insulting to a trained professional. Christophe’s lightning fast, acerbic wit devastates his targets (your friends and companions) while still managing to bring a smile to their face. The world’s only acrobat, rat, and confused cat show! Welcome Cirque du Sewer this July for the most unique comedy acrobatics that must be seen to be believed! An enchanting kaleidoscope of skills from around the world performed to live music. An impressive variety of juggling skills, stage magic, comedy, Central Asian/Middle Eastern dance, sword swallowing, fire-eating and tight-wire walking with an accompanying musical soundscape played on an eclectic variety of instruments including concertina, accordion, harmonium, dumbek, Balkan tupon, as well as various horns, bells and whistles. Fun for the whole family! Can you hear the beat of the drums? The sweet melody of the violin? Perhaps the soaring notes of a flute? It must be time for country dancing with the Dirty Duck Inn! 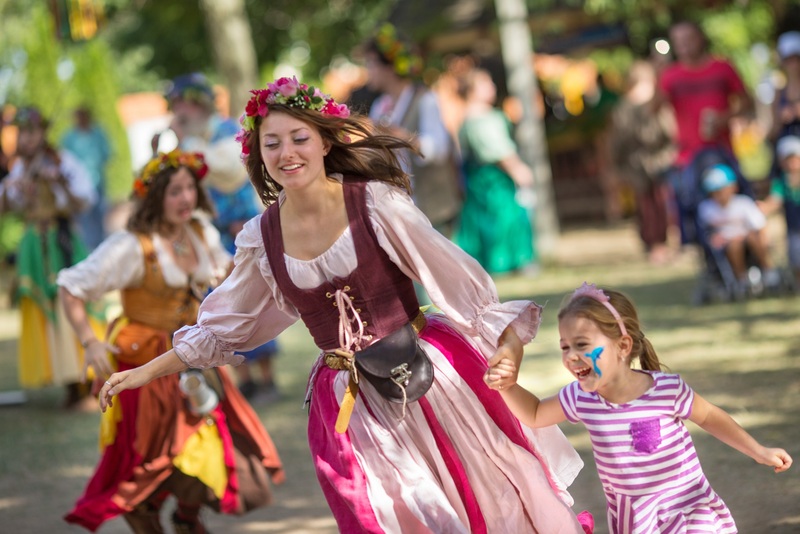 Join us as we set aside our daily chores to celebrate the Queen’s arrival in Bristol by dancing with our family, friends, neighbors, and even travelers from distant lands. You can come to watch, or even better, grab a partner and join the dance! A wandering minstrel, specializing in love songs and bawdy songs. Craig of Farrington has been a fixture of Bristol since our inaugural season and continues to delight lovers and sweethearts with songs to bring them closer together. 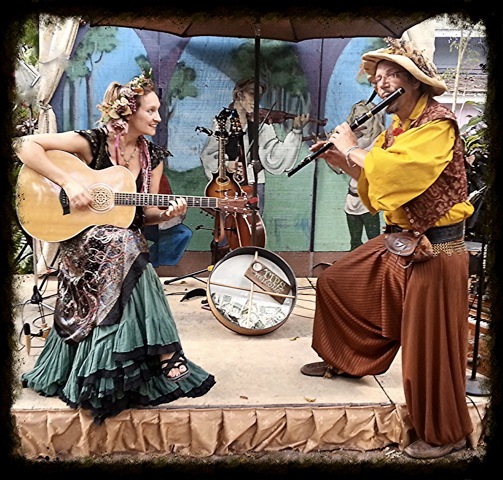 This delightful balladeer can be found wandering the lanes throughout the festival. Stop, listen, and learn to love. Place pirates, a chest, and cooking utensils on a stage. Mix well and let form into outrageous comedy! 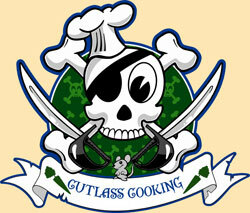 The Hawser family set out to make dinner in the strangest cooking show ever to sail the seven seas. Fun for the whole family! The Danse Macabre at Bristol is a faithful reenactment of this tradition. As the characters in the allegory of the Danse come from all walks of life, the performers of the Danse are drawn from across all of Bristol’s participants. 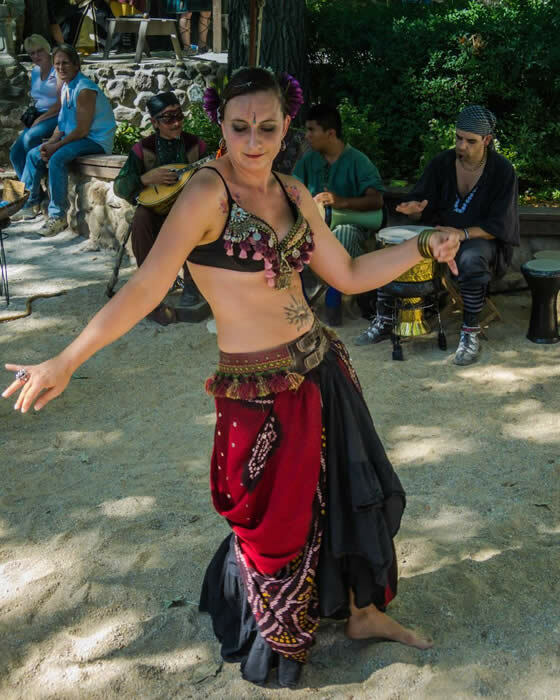 Weather permitting, the mysterious and elusive Danse Macabre will arise near the end of the faire day for a performance that must be seen to be believed. “Hey Audience!” Announcing the return of the Ded Bob Sho! The hardest working cadaver in show business is back with all matters bawdy and profane. Corpse comedy and audience interaction at their finest! Blades flash in the sunlight and the cry of “What ho!” echoes through the air. Dirk & Guido: The Swordsmen, return to Bristol for their twenty-second season of flashing steel, daring do and the wooing of women. Bold and Stupid Men at your Service! This is the roaring crescendo of a day at Bristol, where the thunder of drums fuses with the crashing waves of dance to form the sound and fury that is the Bristol Drum Jam. Dylan Robertson (Chicago Based Arne Parrott) began writing music when he realized he just wasn’t cool enough for sports and had nothing to write home about in the “personal appearance” department. Now, he offers sarcastic, satirical, and only slightly blasphemous original music that (up until this point in his lengthy musical career) he has had little to no success with. He spends most of his days with his hands on his hips gazing off into the distance, wondering if he’s ever made any good choices. Songs, stories and tall tales tumble from his lips like barrels over a waterfall, shattering rings & staves on the water. A True Wandering Minstrel! The Fantastikals bring magic, wonder, and surprise to the town of Bristol! 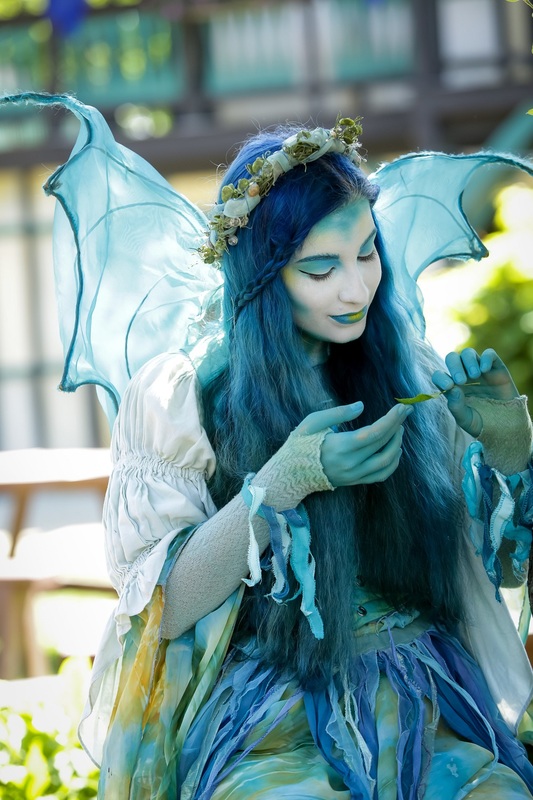 The Queen’s visit loosens the boundary of the enchanted realms, and fairies, elves, elementals, and spirit archetypes materialize, their supernatural energy swirling through the town, and manifesting a magical forest right at the heart of everyday Bristol. Humans both young and grown who are gifted with “second sight” (maybe just for this one special day) may find themselves seeing and even communicating with these wordless beings– be ready for goosebumps! 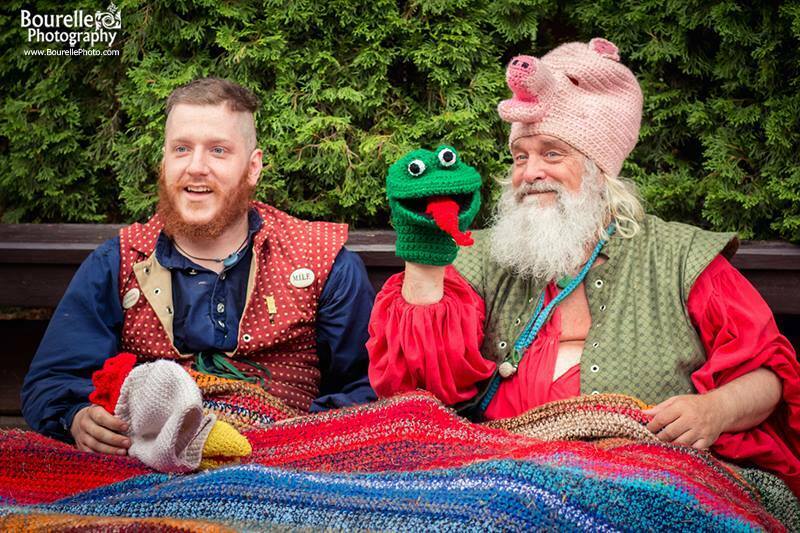 Gabriel Q is a puppeteer, costume and puppet builder and a variety performer. 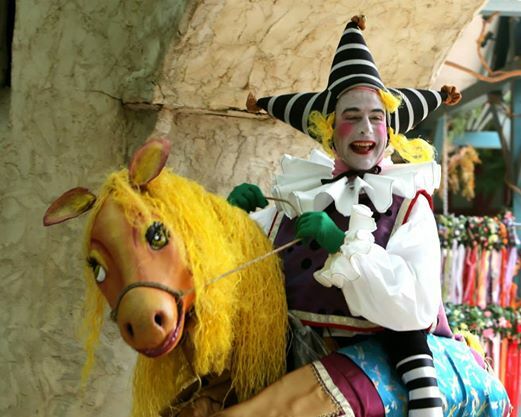 He has performed for 25 years at major Renaissance Festivals across the country. He has also performed at the Kim Tom Clown festival in Shaghai, China in 2008. For the past 10 years Gabriel has built and performed large puppets for the krewes of Orpheus and Muses for the Marti Gras parades in New Orleans. Whether its succumbing to disease or getting three feet of steel thrust at you, health and wellness in the 16th Century can be hard work! Join your Bristol Trayn’d Bande in an entertaining look at health, swordplay, and learn the most valuable lesson of How Not to Die! 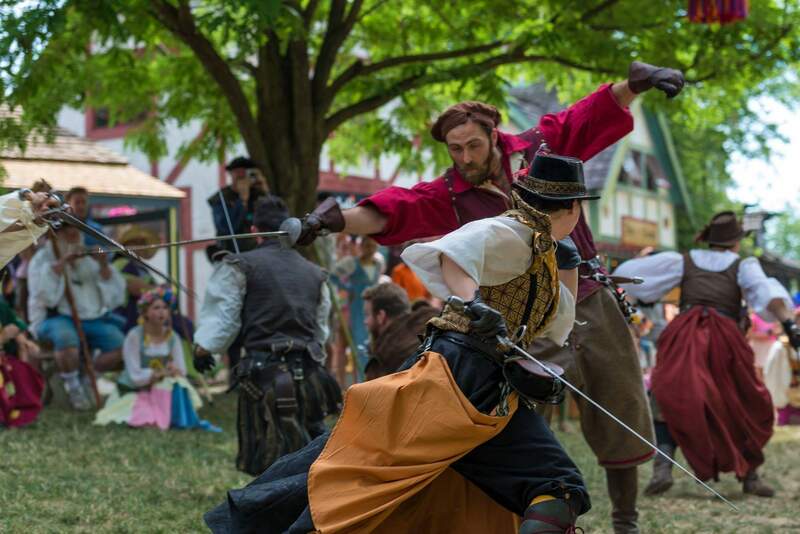 The Bristol Trayn’d Bande takes you on a journey through history showcasing how weapons and armor work. 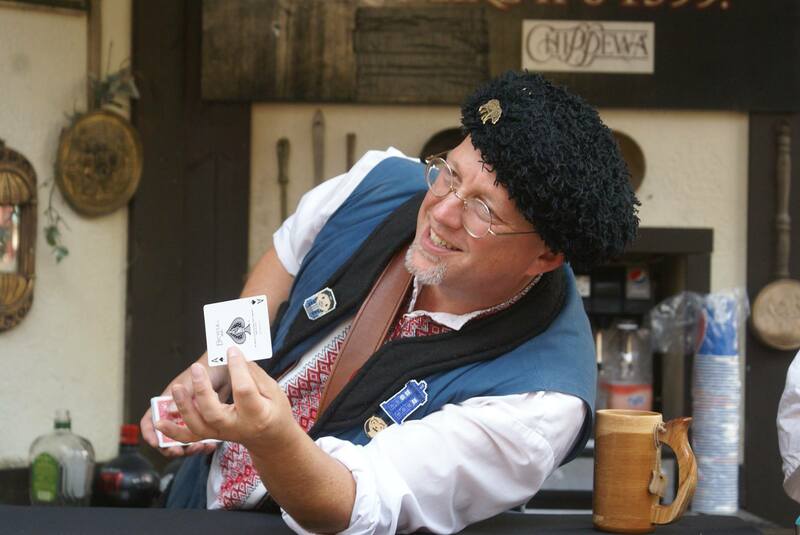 On hand is our trusty Barber Surgeon to fix all of the damage we cause. Caution! Exploding produce is a daily occurrence! Iris & Rose – Wild & Thorny! is a naughty, bawdy, comedy experience. 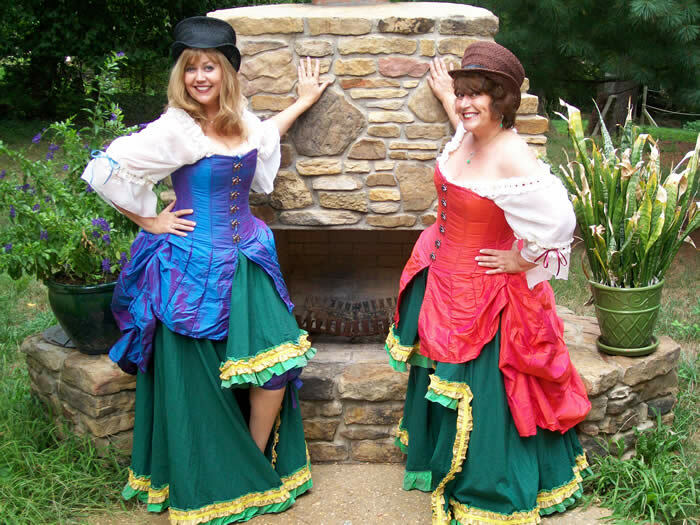 Taking top honors for several years running in the Best Bawdy Act category of the Renaissance Festival Podcast Awards, these two singing sisters share suggestive songs, tickling toasts, lusty limericks, and jaw-dropping jokes. 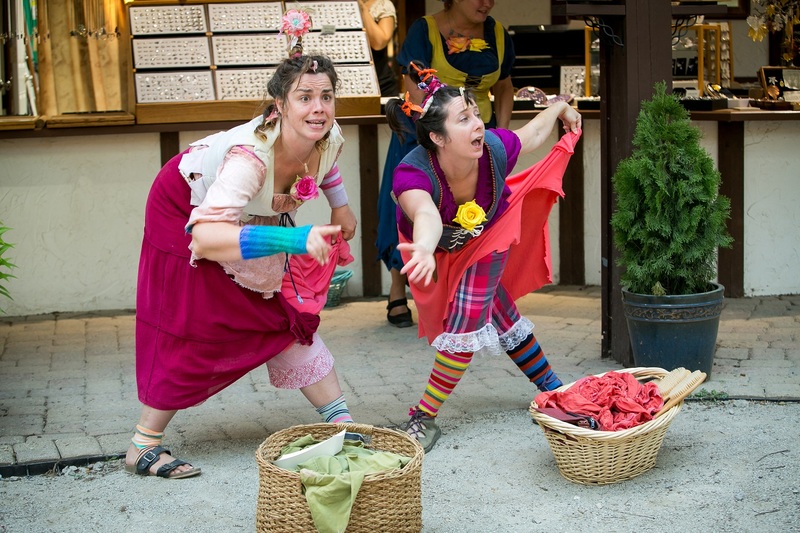 Iris & Rose encourage mature audiences to laugh and make merry with them as they make light of life’s more serious subjects. Hoist a pint and lift up your cares! 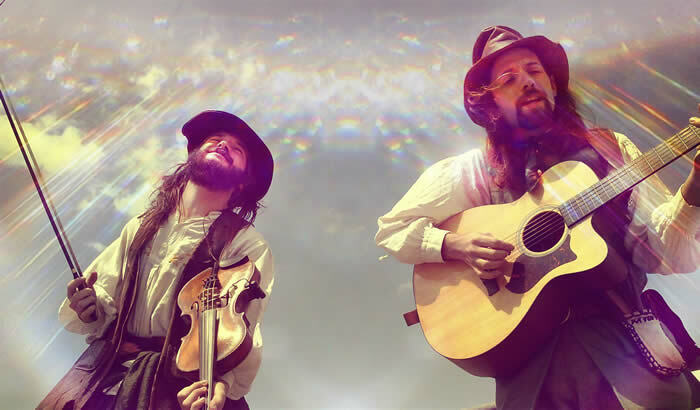 Iron Hill Vagabonds is an acoustic music duo performing a mix of traditional and original instrumental pieces and songs. 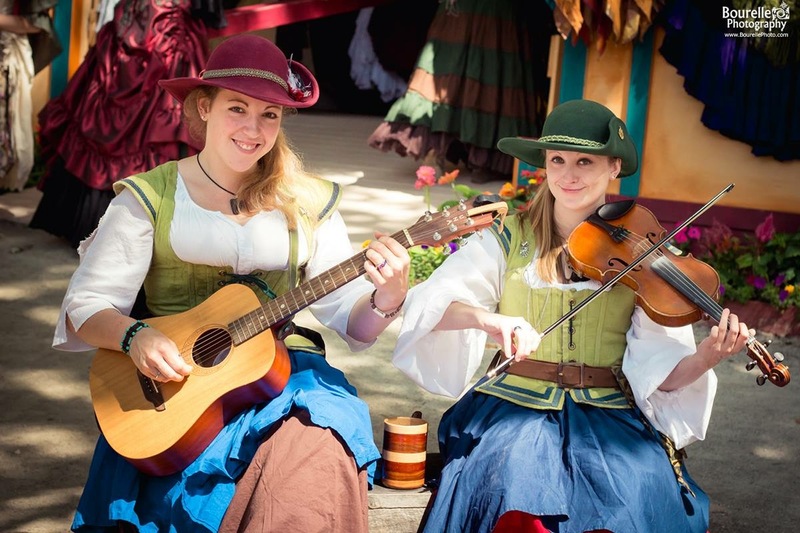 This material includes Celtic fiddle tunes, traditional American, English and Irish songs from many eras, Renaissance Faire, Celtic, Folk, and Bluegrass standards, as well as original songs and instrumental compositions in many styles. He will read your mind, multiply your money, and metal objects twist with the power of thought. And that’s just the first 5 minutes. 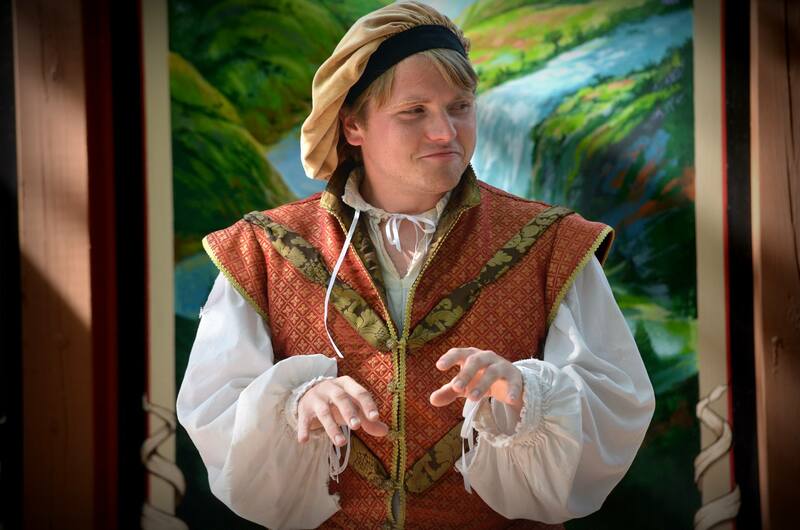 Comedy, magic, and a guided tour of the impossible! Music hath charms to soothe a savage breast, to soften rocks, or bend a knotted oak. Jock Stewart’s warm, comforting voice and tender guitar playing will take you away to a time when the troubadour’s music was truly art, and the art was truly magical. Could he be the next Shakespeare? Probably not. 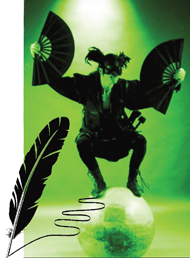 Join Johnathan in his quest to become the next great Elizabethan playwright. Using your help and suggestions, watch him (and maybe a friend or two) attempt to create the greatest play ever written. A completely improvised show where you, the audience, get to influence the story, who is who, and what happens next! 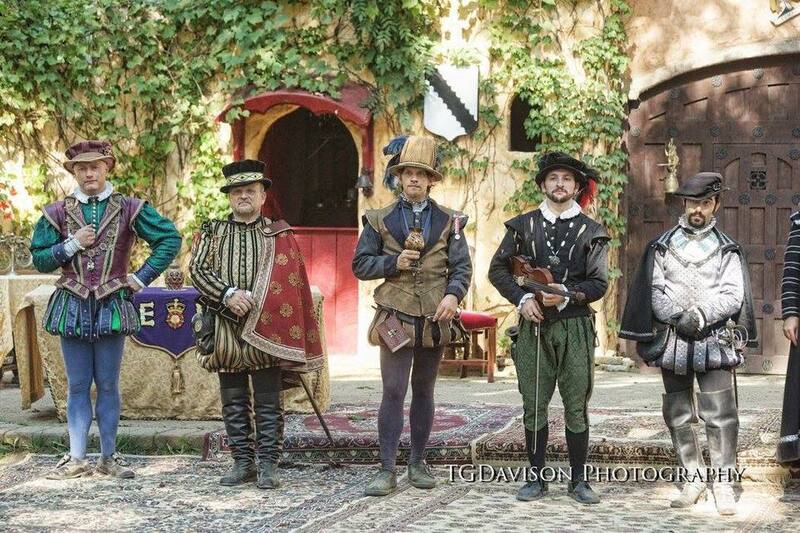 The Jousters are excited to bring their fully armored, hard-hitting and wholly unique style of jousting to Bristol again in 2018. This is a true sport – every lance break and shield shatter achieved is done in an authentic quest for victory! Come cheer for majestic steeds and noble knights as they compete for The Golden Chain of Bristol! The original tallest man in Bristol, Jynks has become a staple of the city and something of a local dignitary. Jynks is most often spotted along Guilde Hall Row and the Queen’s Kitchens. This is the pocket of Bristol designed for children. Come and explore our pirate ships, adventure among our hobbit houses, and meet our playful group of fairy tale characters. 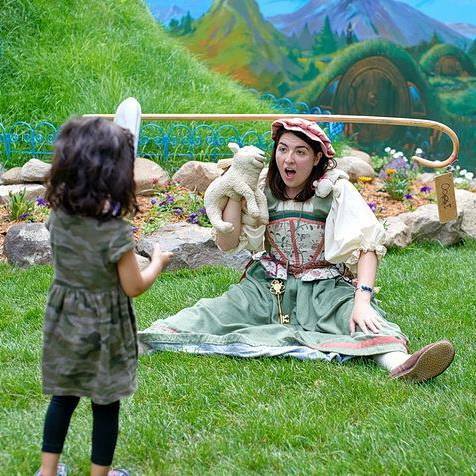 We have stage shows, hunts, pretend picnics, stories and games. Fun for everyone! 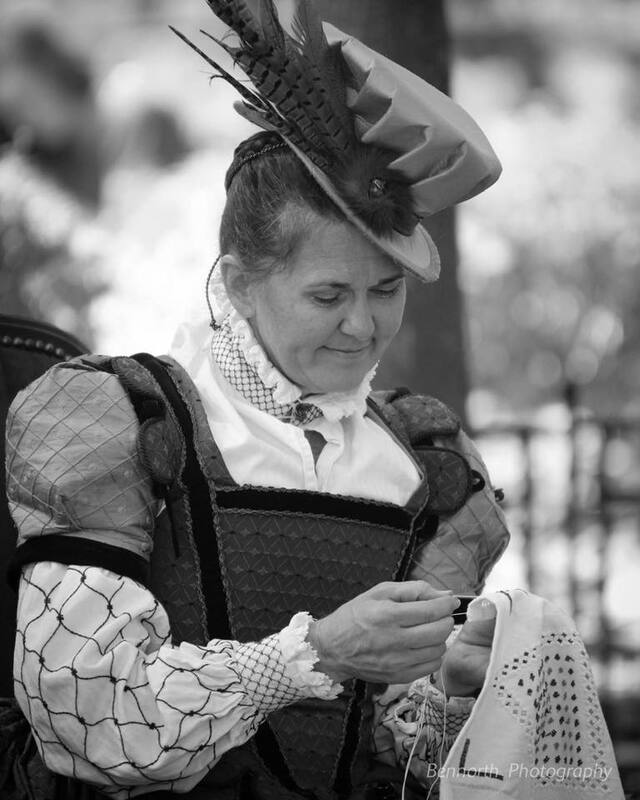 Join Lady Ettie for her version of tea-time as she takes a well-deserved break from her self-appointed position as Bristol’s welcoming committee. Bring the whole family to what is truly a mad tea-party, filled with games, stories, and laughter. 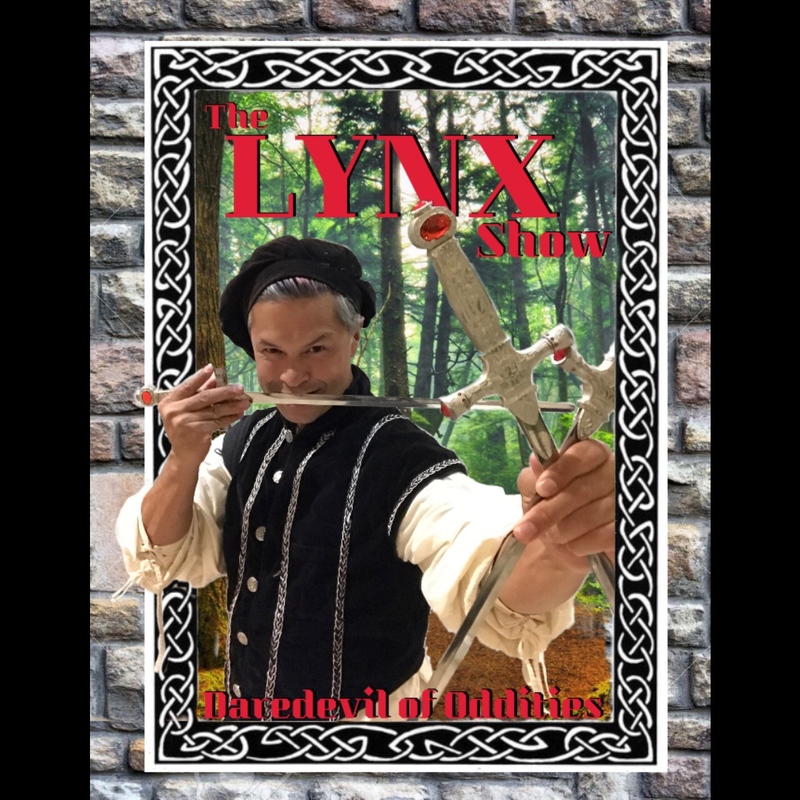 The Lynx Show is a unique blend of magic, sword swallowing, and comedy. 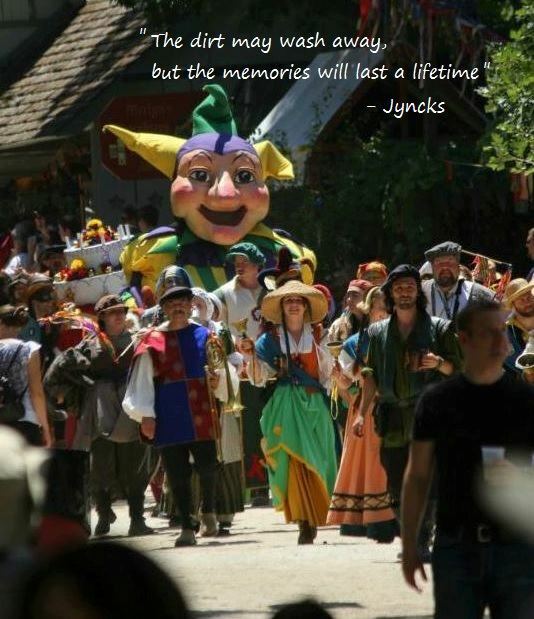 Lynx is a veteran when it comes to performing at Renaissance festivals across the country. Not only is there audience interaction and participation but a strong positive message at the end. From death-defying feats of amazement to bewildering moments that just can’t be explained, The Lynx Show is sure to thrill you! So, don’t miss out and be part of the fun! 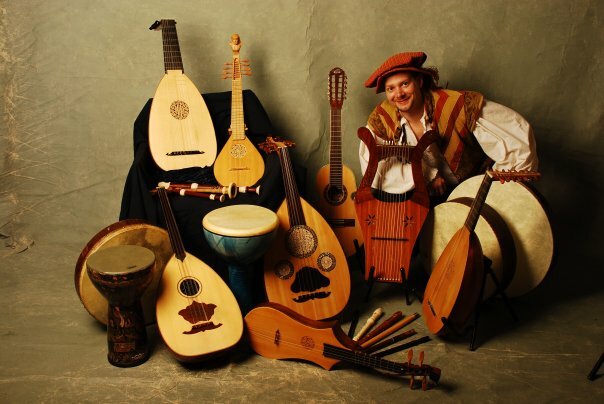 Share a musical moment with the Manticore Consort as they travel the lanes of Bristol presenting a magical blend of music performed on an intriguing array of ancient musical instruments including the hurdy-gurdy, gemshorn, recorders and more! “Dirty comedy, clean booze. Booze costs extra.” Menage a Moi – 7 Deadly Sins is the bawdy comedy experience your mother warned you about. 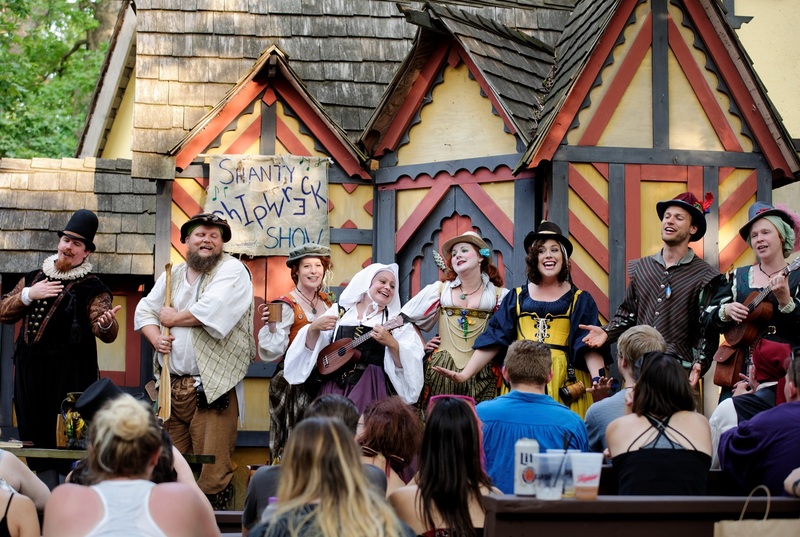 Raise a pint, sing along, and enjoy the show! Since the turn of the century, this fearless band of misfit rogues has been terrorizing and delighting the Midwest with a unique blend of hilarity and harmonies. 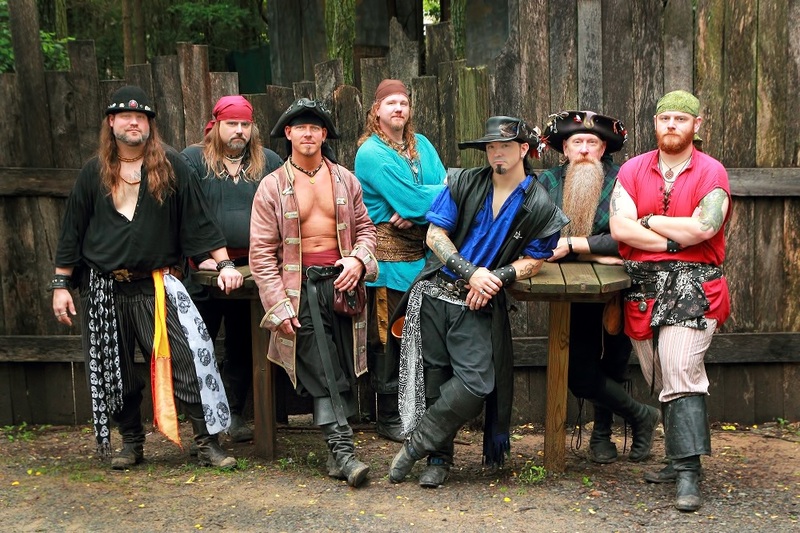 The Musical Blades have spent the last 13 years bringing soaring vocals and vibrant performances to countless renaissance festivals and clubs in 11 states across the country’s midsection. Nazario Chickpeazio, Chicken Troubadour Extraordinaire, will be visiting Bristol this season. While touring the busy lanes of Bristol, just keep a look out for his gypsy wagon and belly dance chickens, or listen for his lovely Oud and Lute music. He wishes to assure everyone that your chickens are safe, he is not a chicken thief, it is not his fault he is a chick magnet. 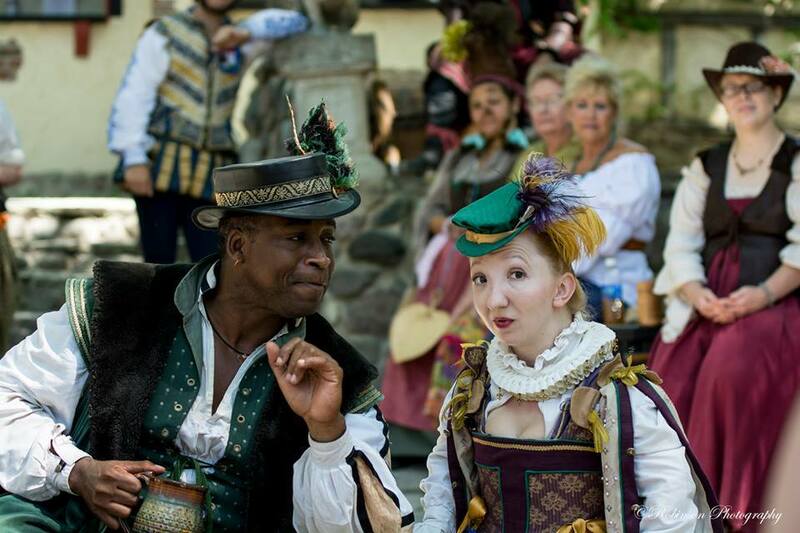 The New Minstrel Revue has traveled all across America sharing their unique mixture of original and traditional music to exited and appreciative audiences. With a focus on vocal harmonies and a high level of musicianship these seasoned performers are consistently finding new ways to make you laugh, make you cry, or make you want to get drunk and start a band. 2 Noisy Knights offer interactive entertainment the entire family can enjoy. With the help of a lot of yarn (over 75 lbs and growing) the “Knights” give a new perspective to familiar, and some not so familiar tales. With the motto, “Why just listen to a story when you can live an adventure?” they encourage their audience to be involved in the experience. 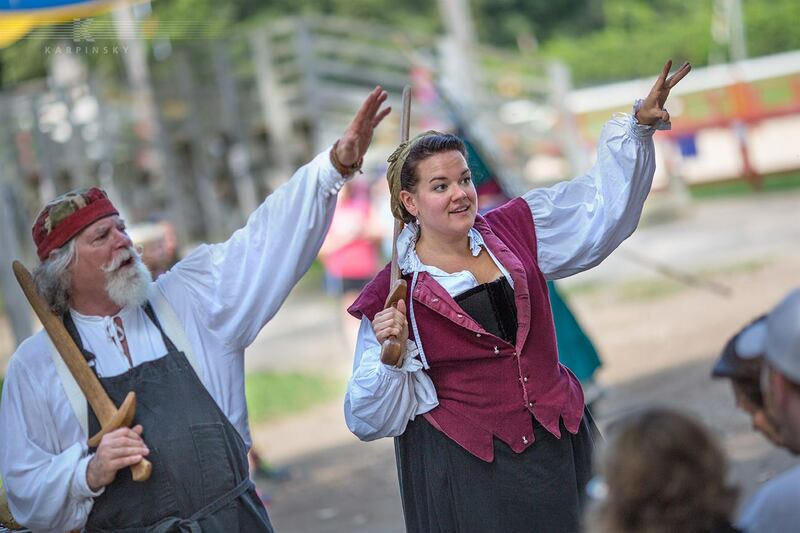 Start your day at the fair, BEFORE the faire with the preshow provided by Bristol’s “Keeper of the Privies.” Audience participation is just the thing to set the right tone for a wonderful day at the faire, and Odorferious Thunderbottom (aka “OTB”)’s just the thing to get you started. Watch as contestants are put through their paces in a series of challenges that only the mind of a Thunderbottom could provide. Come down to the show before the show! 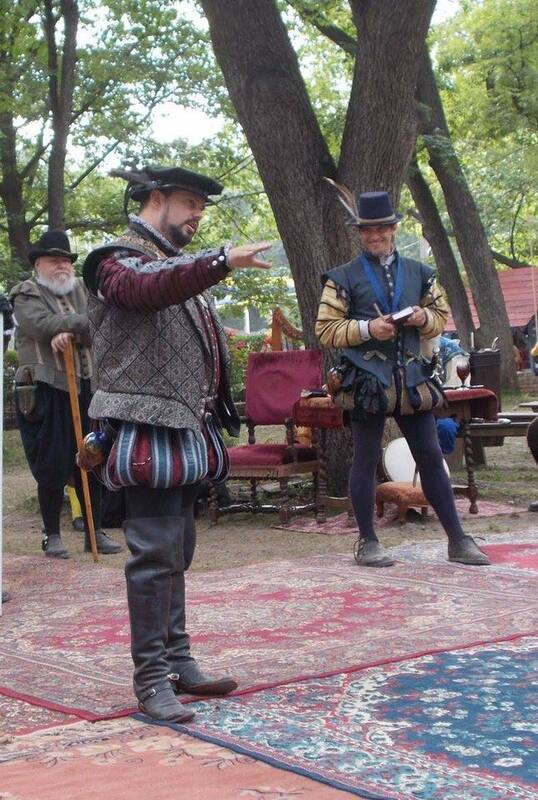 Bristol’s Anniversary celebration is interrupted by an unfortunate business matter brought to the table by Don Guerau de Espes del Valle, Ambassador from the Court of Spain. As the Queen and Ambassador work through the issues at hand, we are reminded that the common thread is unity. How we get there is sometimes the challenge. 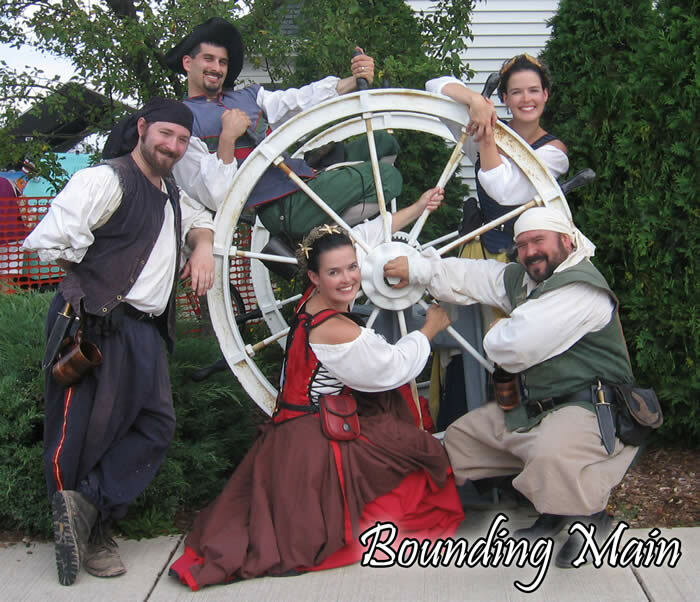 Rambling Sailors is a new effort by performers Gregg and Susan Csikos. Both successful soloists in their own right, Gregg and Susan performed for over a decade individually. Now with a combined experience of 25 years on the circuit, a repertoire of hundreds of songs, and harmonies that please the ear and lift the spirit, Rambling Sailors is on a mission to bring traditional sea music, history and stories to the stage, delivered in the style that inspired generations of sailors to go to sea. Every plan must come to fruition; for some, they have been planning theirs for years. There is an ominous air about Bristol. Never fear, for you have found new messages upon the “Adventurers Wanted!” board. A hasty scrawl reads: “We must find the items before it’s too late!” An elegant hand pens: “All will be well, trust in the Disciples. Will you help us bring peace?” Yet… something seems very wrong. Is the corner of the board just dirty? No, it appears something charred it. See, there? Why, it’s still smoldering! What could have done such a thing!? Will you join the intrepid Travellers of the Band of the Twisted Claw and help them save Bristol from chaos and destruction and finally bring the Band into His Light where it belongs? Or will you join the crafty nobles of the Draco Disciples and help them to finally complete their Goddess-given task and bring Bristol into Her Shadow? Keep your wits, strength, dexterity, and charisma about you! Only you can lead your faction to victory! RenQuest is designed for players age 13+. 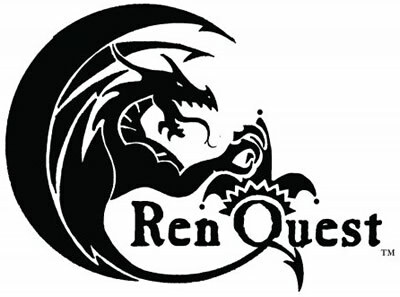 Sign up for RenQuest at the red vardo from 10 a.m. – 2:30 p.m., across from the Friends of Faire Garden. RenQuest costs $10 per day to play. Each episode lasts 2-3 hours, can be played at your own pace, and must be completed by 4:30 p.m. to receive your prize. 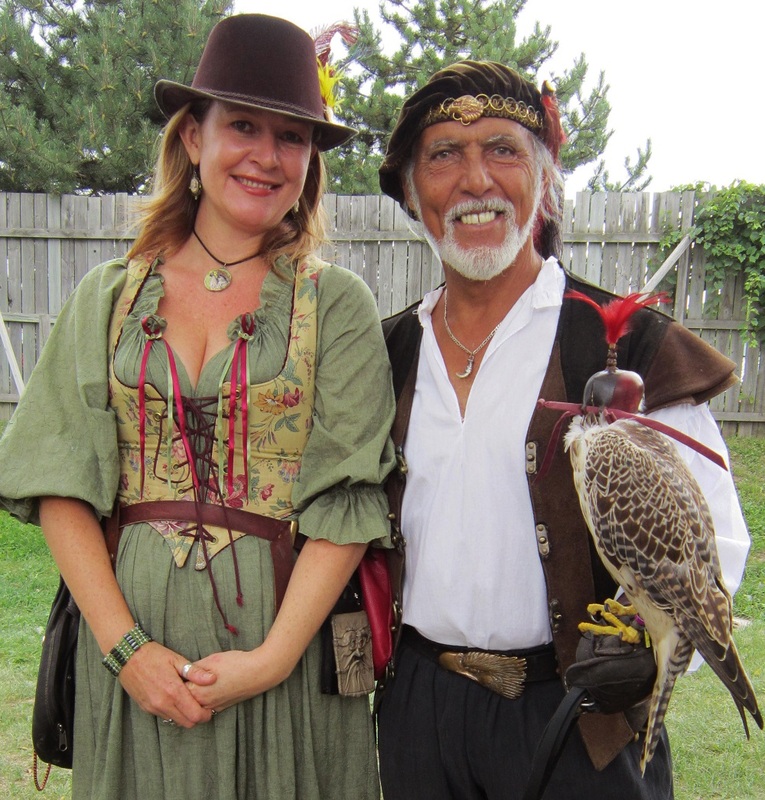 Flight of the Raptor is proud to bring the ancient art of falconry to life. Falconry was not just the “sport of kings” or entertainment for the royal court, it was a way of survival. Join us as we embark upon a journey to understand how these magnificent creatures hunt their prey and discover how the partnership between humans and raptors was forged and spread to all parts of Europe. Flight of the Raptor showcases this captivating history in both storytelling and flight demonstrations designed to enlighten,educate, and inspire our audiences. Most of all you will be enraptured by their beauty, and drawn to the spectacle of their flight. 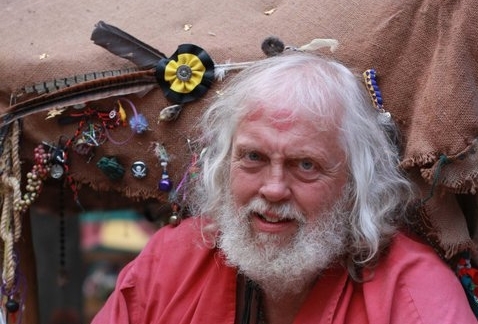 Everyone deserves love on a festival day, even the trolls who live under Bristol’s bridges. England’s only complete pair of living bridge trolls can be spotted all about the city. Journey with the Viking gods, cry with the prince who is saved by bees, and tell us the English morals we can’t figure out! 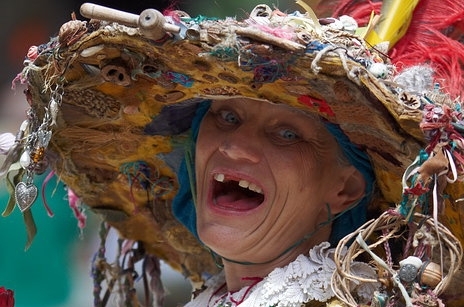 Laugh, Learn, and Love the myths and folklore tales as told by Casimir and Mynogan. Steam Powered Giraffe, the singing musical automatons, are proud to announce their appearance at the Bristol Renaissance Faire during RennCon™! This quirky act combines comedic sketches, improvised android banter, and original music fused with multimedia visuals, billowing steam effects, and robot pantomime. The robots perform Saturday, July 28th at 6:30 p.m. Autographs 8:00 p.m. to 8:30 p.m. Tickets to the Faire already include the concert, no additional ticket needed for Steam Powered Giraffe concert. 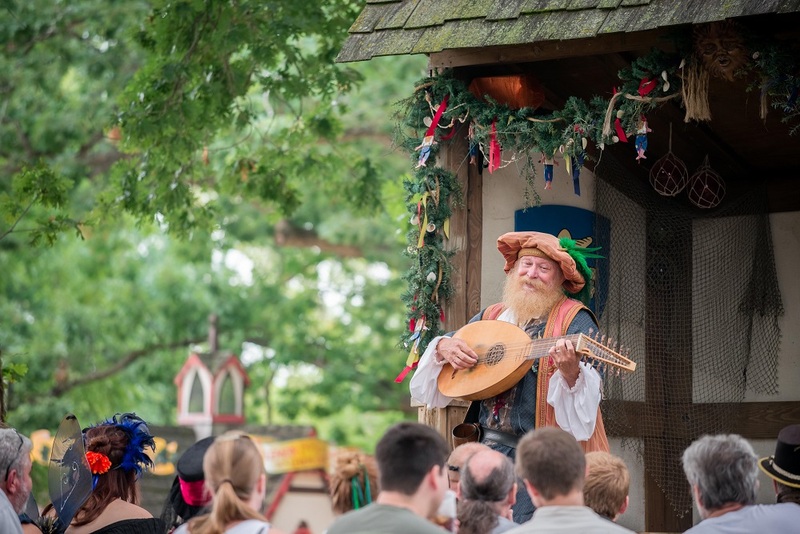 Witness our favorite scenes, monologues, and sonnets that the Bard penned. A different cast every morning, no two shows have ever been the same. If YOU have a brief (3 minute or less) piece that you would like to perform, you are welcomed and encouraged! You won’t find a more receptive audience anywhere else! Celebrating their 40th year anniversary, all we know for sure is that in 1979 The Sturdy Beggars™ first “fell” into their special “field” of “entertainment” somewhere in the rich and tasty top soil of the Midwest. 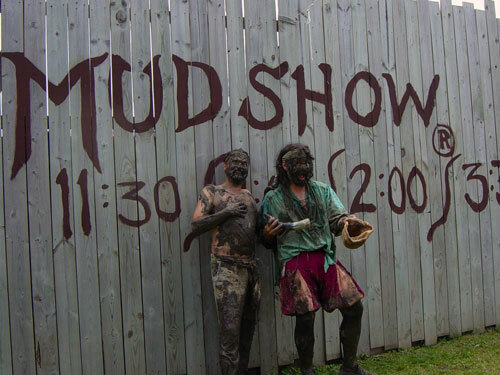 Since then the first, the only, the original Mud Show® (Reg No. 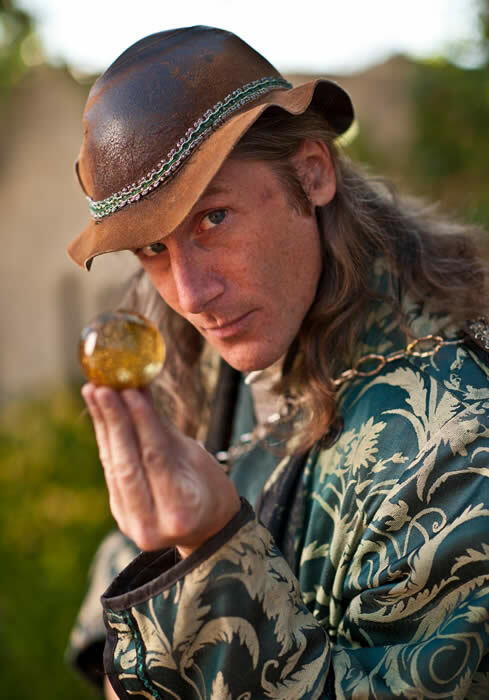 1,985,845 with the United States Patent & Trademark Office) has toured to over 22 Renaissance Faires across the continental United States. With their adage “the whole world’s a stage, just add water,” this “greatest show in earth” has left nothing but laughter and mayhem in its sullied wake. Welcome to the Dirty Duck Inn, finest inn in three counties! Centrally located in the heart of Bristol, right across from the Cheshire Chase Action Stage, The Dirty Duck Inn plays host to the citizens of Bristol as they take their sup. Come on in and enjoy the shade of our dining hall, meet the town folk, sing along with us as we work, and catch up on the local gossip of the town of Bristol. Playful, bawdy and unabashed, the Tortuga Twins (all three of them) return! Their special blend of stage comedy and audience participation has been labeled “Asthma-Attack Inducingly Funny.” Be warned. 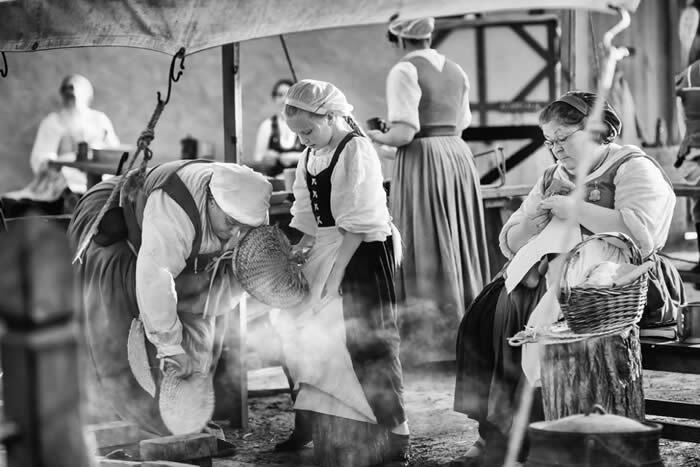 The Washing Well Wenches take up residence in Bristol to earn a living by cleaning laundry… or by marrying a wealthy man. This naughty and tempestuous twoseome will win your hearts with a rollicking, laugh-filled, one of a kind show! Your Bristol Trayn’d Bande is ready to take on any foe! We’ll show you how to do it too, if only our Captain and Lieutenant can agree on the best soldier for the job. Comedy and violence erupt as the battle between Pike, Shotte, and Cavalry takes place!